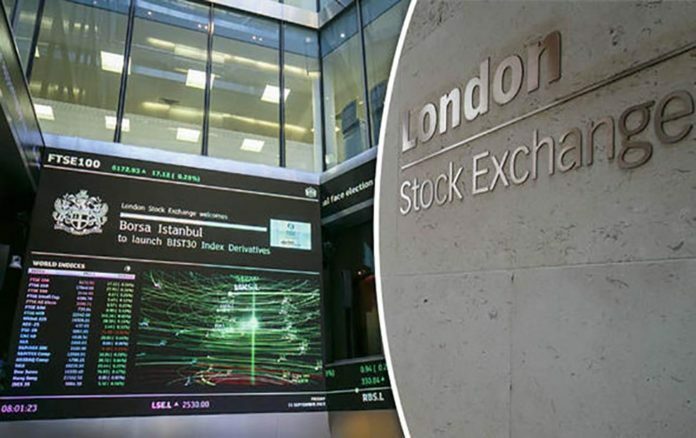 London: Europe’s stock markets slid Monday on jitters over looming high-level trade talks between China and the United States. Around 1115 GMT, Frankfurt and London each shed 0.2 per cent while Paris slipped 0.4 per cent. The pound dropped against the dollar ahead of Tuesday’s vote on British Prime Minister Theresa May’s revised Brexit deal, with many believing that even if it is kicked out by MPs, Britain will still not leave the European Union without an agreement. There is a growing sense that May will seek a delay in the country’s leaving date to give her more time to reach a deal. Oil prices shed about one dollar, while earlier in Asia, stock markets closed mixed as investors look ahead to a week chock-full of crucial events. “European stocks are slightly in the red … as dealers tread lightly ahead of the latest US-China trade talks that are set to take place this week,” said CMC Markets UK analyst David Madden. “The mood is subdued as the gulf between the two sides is still wide, and some traders are content to play the wait and see game.” Hopes that a deal can be struck between the world’s top two economies have helped fuel a rally this month in global equities, which had been hammered in December. While there have been conflicting reports on the likelihood of an agreement to end the trade war, analysts say it is in the interests of both sides to reach a deal, with China’s economy stuttering and President Donald Trump gearing up for his re-election campaign. “Although coming to an agreement is still tricky, both sides have little incentive to escalate tensions,” said Tai Hui, chief market strategist for Asia-Pacific at JP Morgan Asset Management. As well as the Wednesday-Thursday meeting in Washington, dealers also have in their sights the Federal Reserve’s latest policy meeting, where the central bank’s statement will be pored over for an idea about its interest rate plans. Also coming up is the release of US jobs and economic growth data, Chinese manufacturing activity results — and a number of big-name earnings, including from Apple, Samsung, Facebook and Alibaba. Wall Street provided a positive lead after another batch of upbeat earnings reports, though observers said there was little major reaction to news that Trump had agreed to re-open the government after public services started to buckle in the longest-ever shutdown. However, the deal that will see 800,000 workers finally get paid will only last a week and did nothing to resolve the row over the president’s demand for billions of dollars to pay for a Mexican border wall.